Any recognition of this majestic looking mountain? Nicknamed American Mt. 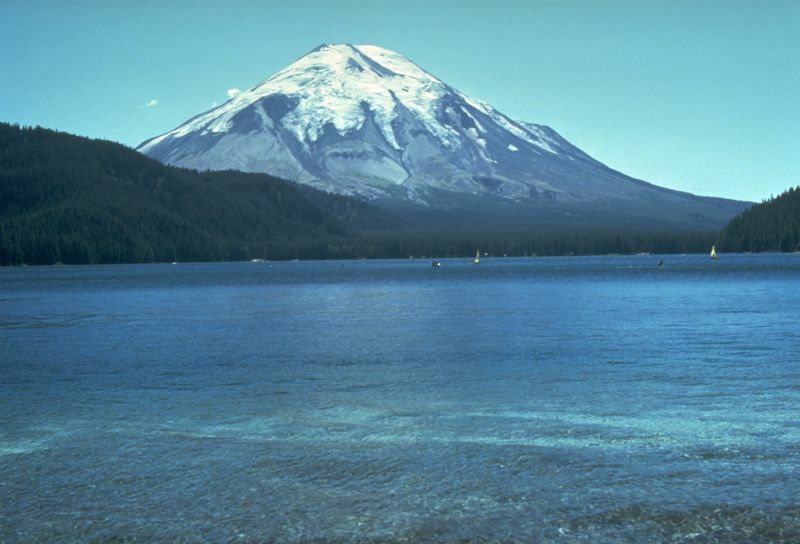 Fuji, Mount St. Helens. Prior to this day in 1980, Mt. 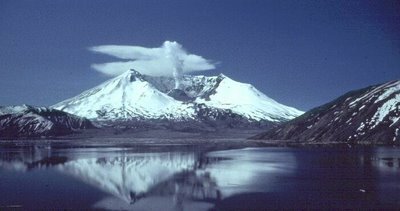 St. Helens stood 9677 feet tall. If you missed the news, St. Helens erupted on May 18, 1980. Though I was only 5 at the time, I remember wearing masks, shoveling ash like snow, driving up on Cooper Mountain (before all the housing developments) and watching the steam rise. 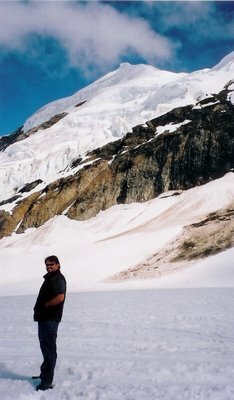 Now many years later, I remember the 57 people killed in the eruption and the countless other lives changed forever. Here’s a modern picture for contrast purposes. Mountains are interesting. 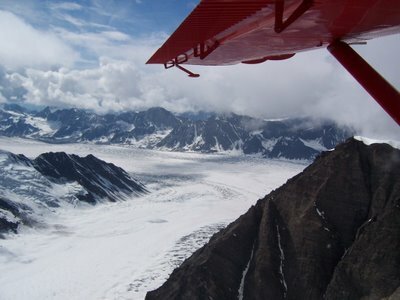 Last summer I had the chance to fly in a small plane around and land on the side of Denali in Alaska. In a famous MKinMotion moment, I didn’t charge the battery to my camera the night before and ran out of battery before I had a chance to get too many pictures. 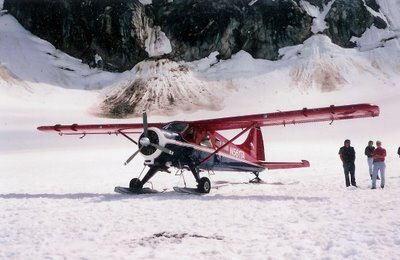 Luckily my traveling companion snapped the bottom two pictures (the bottom one, you might recognize me making small talk with the pilot), so I could have proof Denali and I existed. If you’re not familiar, Denali is the native name attributed to Mt. McKinley. There is no way you can see Denali, even from a distance and not be overwhelmed with it’s size. The glacier in the picture below is as deep as the Grand Canyon.